There are conspiracy theories for everything - from alleged government cover-ups of meetings with aliens and UFO sightings to the supposed malevolent actions of large global organizations. For every major event it seems there is a conspiracy theory. Opinion polls have found that around 80% of Americans believe that Lee Harvey Oswald did not act alone in killing President Kennedy, 46% believe the Japanese are conspiring to destroy the American economy, and 41% believe the US Air Force is hiding evidence of flying saucers. Conspiracy theories abound all across the world and psychologists have begun to try to understand why people believe in conspiracy theories. My own research suggests that people think that a major or significant event must have been caused by something similarly major, significant or powerful. However, often official accounts for events, or more mundane, everyday explanations, fail to seem big enough. We do not feel particularly comfortable with the idea that something unpredictable or accidental like a car crash could have a big effect like the death of a Princess, or that a single mad gunman could assassinate the most powerful man in the world. That troubles our sense of the world as being a relatively stable, safe place to live in. Sometimes we try and cast around for an explanation that matches the magnitude of the event that we see in front of us, and conspiracy theories can provide that explanation. Psychological tests I have carried out suggest that the more you believe in conspiracy theories the more likely you are to mistrust reported facts. This is, on one level at least, obvious. But it is important to help us to understand how conspiracy theorists often deal with those taking a critical position. For instance, when I first started working in the area I received a number of messages from individuals implying I was working for some secretive government organization or another. This, they claimed, must explain why I was asking the questions I was. In fact, my work only focuses on the psychology behind these beliefs and does not relate to whether a particular conspiracy theory is right or wrong - that is all a matter of evaluating the evidence. People are also more likely to believe in conspiracy theories if they feel powerless in the face of large social authorities or institutions, and not part of the mainstream of society. Sociologists suggest that these minority groups feel politically disenfranchised or discriminated against and this gives rise to higher levels of belief in conspiracy theories. We also hate gaps or inconsistencies in our knowledge. We want "closure" in our thinking and to believe that we live in a stable and predictable world, so we might seek out a simple account of a complex event. As a rule people tend to accept supporting evidence at face value while subjecting contrary evidence to much more critical evaluation. People show other cognitive biases in how they evaluate ambiguous evidence. 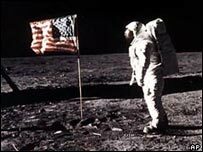 For example, if someone is adamant that the moon landings were faked they will insist that there is clear evidence of this in NASA pictures - why is the flag fluttering when here is no wind on the moon? They will ignore alterative explanations that do not support a conspiracy theory - for example in a vacuum, there is no friction so it takes longer for a flag to roll up. So if we accept a conspiracy theory to be true we are more likely to accept explanations that are consistent with a conspiracy and less likely to accept evidence that runs against a conspiracy account. Of course these are general trends. 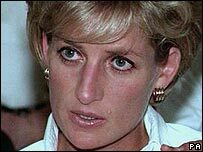 As psychologists we are just trying to understand the common factors which predispose people to believe in conspiracy theories. It does not mean belief in a conspiracy theory is delusional. At the end of the day there can be a simple reason - the theory itself could be true. The Conspiracy Files: 9/11 was broadcast on Sunday, 18 February 2007 at 2100 GMT on BBC Two.